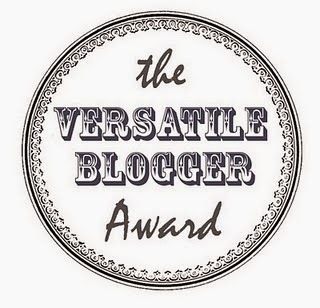 I have been nominated for The Versatile Blogger Award by the lovely Sarah. Thank you! To be honest, I don't really know exactly how this works but I did some research so I'm just going to follow the rules I found. I hope I'm not messing this up. 1. Thank the person who gave you the award (leave a link to their blog). 2. Nominate 15 blogs or bloggers you recently discovered or follow regularly. 3. Tell the person who nominated you 7 things about yourself. 1. I want to live in New York. 2. I am addicted to coffee. It's really bad. 3. I regret not taking ballet when I was younger. I would love to be a dancer but it's too late for that. 4. I think I have OCD, I don't know though, it's self diagnosed. Everybody that knows me tells me I probably do. 5. I want to write and direct my own films. 6. I hate parties. Every time I go to one I get desperate and want to leave immediately. It's really funny because I'm always counting the minutes until I can finally leave without appearing rude. Please remember to leave the link to your versatile blogger award in the comments if I nominated you! Thank you for nominating me! That's very sweet. I'll try to do this once I am done with exams and papers haha.